Have your prayers become stagnant? Do you long to see God move in fresh ways? Are you ready to move to new places in your walk with God? 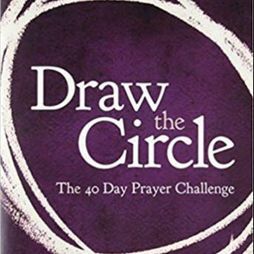 If so, it's time to take the 40-day prayer challenge and press into God like never before! In this five-session video Bible study, bestselling author Mark Batterson shows how taking up this challenge will not only change the way you pray today, but also dramatically impact the rest of your life. While this challenge won't be easy, and you will experience setbacks along the way, as you pray through, be assured that God will come through in new and exciting ways. JOIN US FOR THIS EXCITING STUDY AT NEW SONG STARTING AUGUST 19! Free books are available for pick-up every Sunday at the Connection Center!